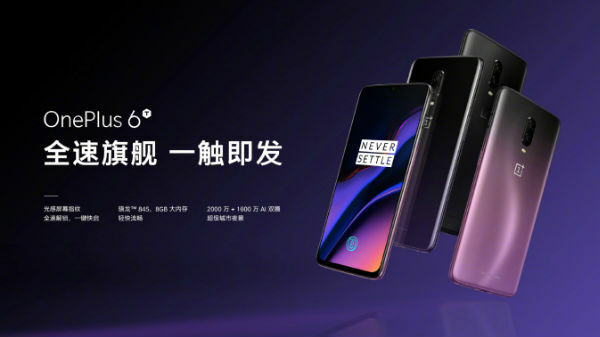 OnePlus 6T new color variant Thunder Purple finally announced officially. All you need to know. 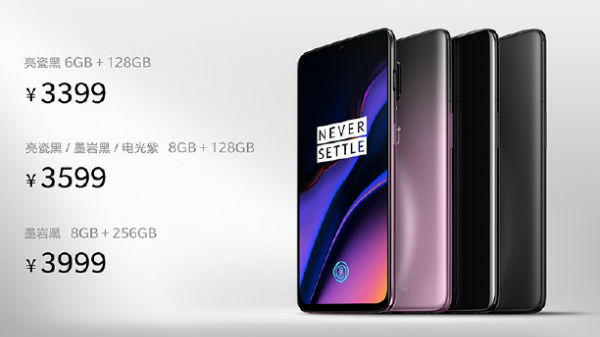 OnePlus has finally announced that it is going to introduce the new Thunder Purple colour variant of the OnePlus 6T in China. This new colour variant will join the Midnight Black and Mirror Black variants. This new variant comes with Gradient finish on the back, it comes with five different layers of frosted glass for elegance look. It shows an S-shaped line when light reflects on the back panel. Apart from the design of the phone, everything remains the same in the new variant. 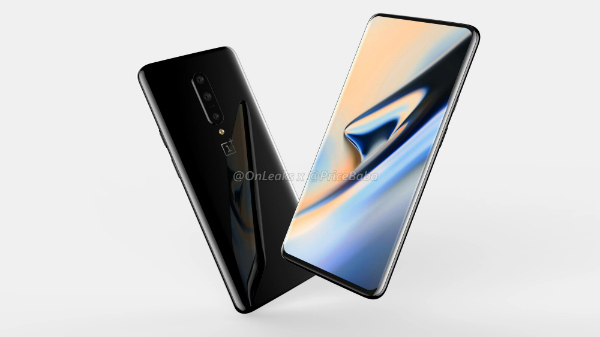 Just to recall, OnePlus 6T comes with a 6.41-inch Optic AMOLED display along with a resolution of 1080 x 2280 pixels and waterdrop notch on the top. The screen carries 86 per cent screen-to-body ratio. Under the hood, the smartphone is powered by a Snapdragon 845 Mobile SoC, paired with Adreno 630 GPU and clubbed with 8GB of RAM and 128GB. 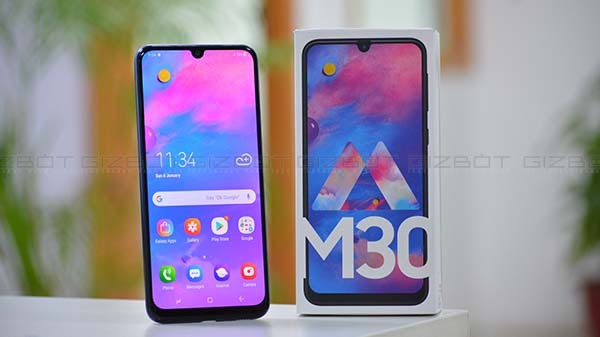 On the optical front the smartphone sports a dual camera setup with the combination of 16-megapixel rear camera and 20-megapixel secondary camera along with an LED flash. At the front, the smartphone houses a 6-megapixel Sony IMX 371 sensor for selfies and video calling. The rear cameras also support Nightscape mode which produces brighter images during low light condition. 4G LTE (Cat 16), Dual nano-SIM, GPS, NFC. 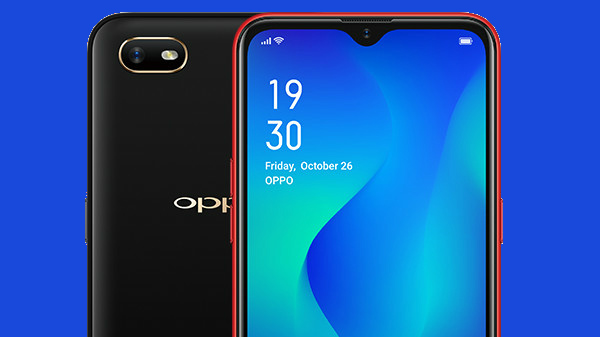 OnePlus 6T is fueled by a 3700mAh battery and runs on Android 9 Pie out-of-the-box. It's worth noting the Thunder Purple version of the 6T comes in only 8GB of RAM and 128GB of storage. The smartphone is priced at 3599 Yuan ($519/ Rs 37,985 approx) in China. We can expect that the company will soon roll out the new colour variant globally including India.